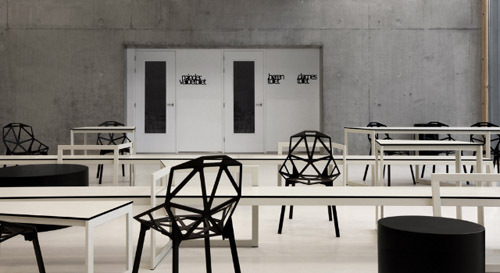 We’ve featured lots of fabulous kindergartens and schools on Babyology but I think this Dutch school is the most stylish. 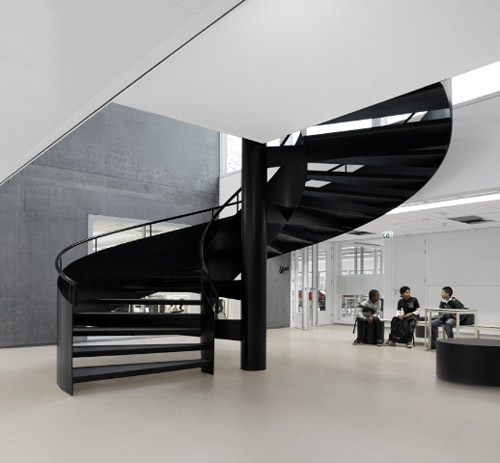 Situated in Amsterdam, the Panta Rhei secondary school is modern in every sense. 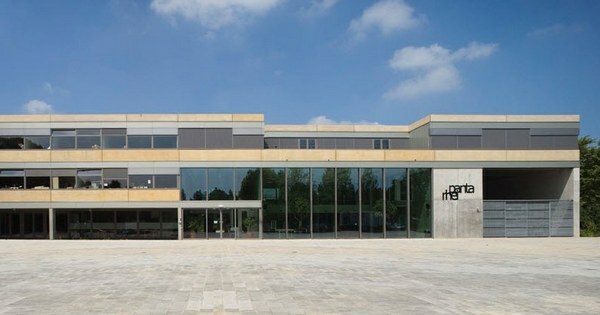 As well as the striking black and white colour scheme (surprisingly refreshing given that architecture for children usually includes a riot of colour) the design reflects a new approach to learning – traditional classrooms have been replaced by larger ‘core teams’ allowing learning to be more independent and competency-oriented. 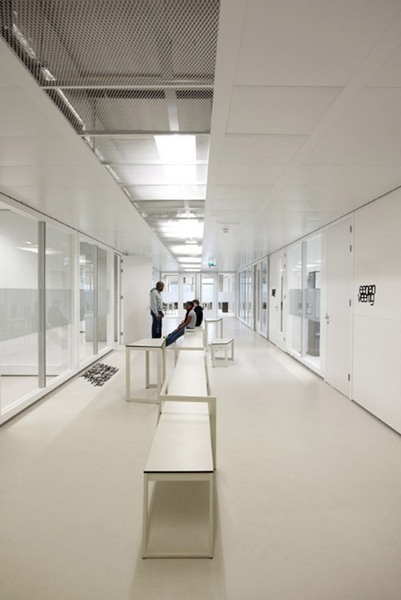 The design incorporates the idea that information is gathered and processed at many locations within the school and that ‘incidental encounters’ inside the building are valuable. 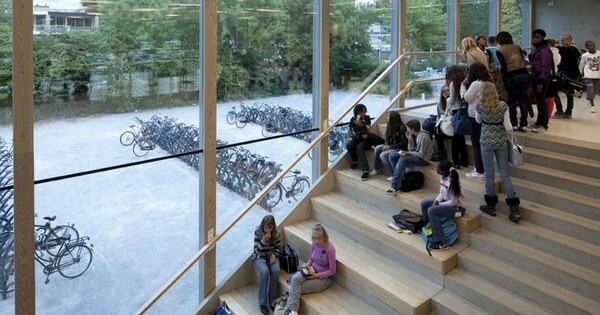 Lots of glass, sliding doors and large spacious areas facilitate this new use of learning spaces. It’s neat that ‘panta rhei’ also means “everything flows”. 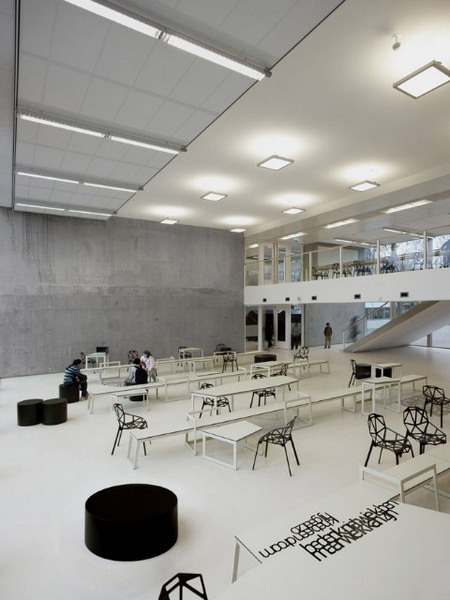 Architects Snelder Architecten sought a balance between security and freedom in their design, a theme that was followed by interior designers, i29. 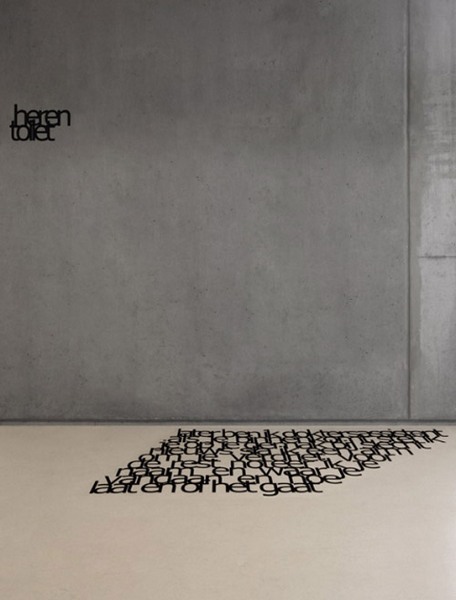 i29 commissioned poems from Dutch poet Erikjan Harmens for the interior of the school and used the words to create “carpets of text” on floors and walls. 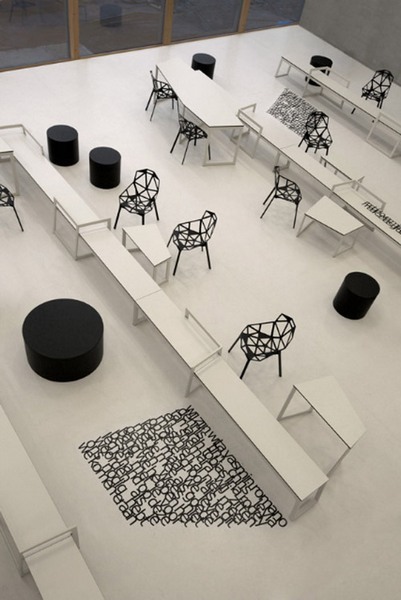 The furniture continues the theme – as work takes place both in groups and individually, the tables were designed in asymmetrical, angular shapes which can be linked together in multiple configurations. Also see our previous posts about schools and kindergartens.